The Club was established in 1974 & we now have approximately 34 members, which include 9 x qualified instructors. We therefore have a good ratio of instructors to trainees. Each year we take on several trainees. Training starts in November & continues over the winter months. It consists of in water training in the Curragh pool & 4 x sets of lectures on dive theory which takes place on Sunday afternoons. We start snorkeling on the 1stJanuary & weather permitting diving commences mid February to early March. These are all worldwide recognised & well respected diving qualifications. All the instructors give their time free so all the courses are all kept affordable with no time pressure. No balancing act between profit & safety. Our members vary from those who just like to take the occasional dive to get wet to the techies who are not happy unless stuck in some wreck somewhere in 50mt+. 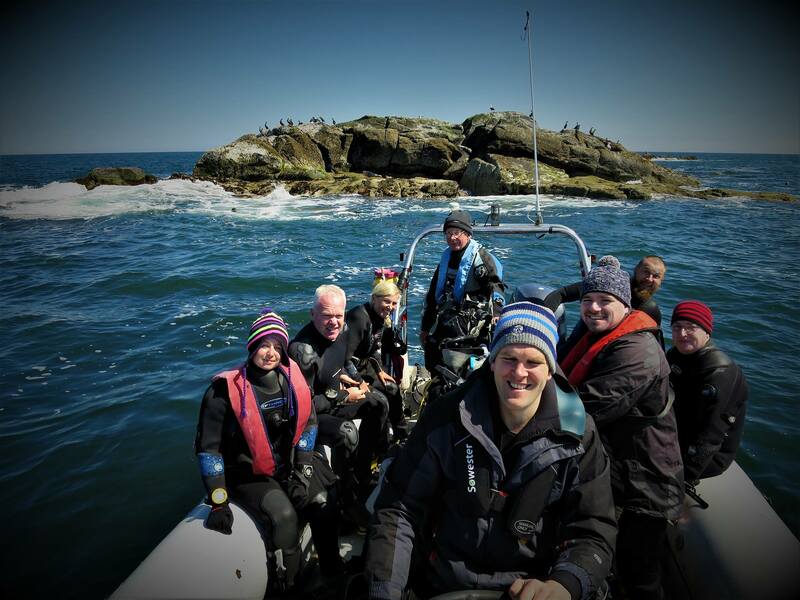 We dive every opportunity the weather gives us & our normal haunts are Hook Head, Wexford for shore diving, Slade Harbour and Kilmore Quay, Wexford for boat diving. In the summer when the evenings get a bit longer we dive out of the Coal Harbour, Dun Laoghaire on a Wednesday evening, meeting at 6.30pm. Then on Bank Holiday weekends we head further a field to places like Baltimore, Valentia Island, , Aran Islands, Mullaghmore, Kilkee, Malinbeg & Belmullet. We also go away for a week’s holiday in Ireland & this year it is to Burtonport for first week in July (30th June to 7th July 2018). Organised groups also go foreign to such places as Bonaire (Caribbean), Gozo (Malta), Red Sea (Egypt), Lanzarote, El Hiero, Dahab (Egypt), Truk Lagoon, Cuba, Mexico & Thailand. Girlfriend, boyfriends, wives, husbands & family members are all welcome to come along to any club activities. It’s not a great spectator sport but if you give them the credit card they normally enjoy themselves also! We normally all meet up at night for a meal, a few drinks & plenty of craic. The Fees for the 2017/2018 year are €500 which include €110, affiliation & insurance fees to CFT. For this you get all your diving, all air/nitrox fills, all pool training & all instruction. You don’t have to be a genius to see the value there if you are going to dive a little. Besides the value there is also a good social element to club activities with great friendships being made. Full fees are due on 1st December 2017. You will also be required to have a dive medical with your own GP & we have dive medical forms available to download from this site in pdf format or I have some hard copies on request (Dive medicals must be done on these forms only). Our latest edition which we bought for €46,000 with the help of a Sports Capital grant of €25,000– a 7.3mt Gemini RIB with twin “Shinny” New Yamaha 115HP four stroke engines were a welcome addition in 2013. This is capable of economically taking 15 divers diving with all their gear in comfort & safety. We also have 2 x MCH16 Coltrisub mobile compressors, driven by Honda diesel engine to pump our own cylinders on our trips away. The new Nitrox Membrane system + 6 x 50lt banks now supplies free nitrox up to 40% to all nitrox qualified current members. An MCH36 Coltri Sub compressor supplies air at 600lt/min in the club house. Funds permitting we hope to purchase a new boat in the near future. Maintenance work is carried out on the club equipment on Wednesday evenings over the winter months. Cylinders are also filled over in the club house in Toughers Industrial Estate on Wednesday evenings. Bernard Kruger (Equipment Officer) and Paul Doyle (Assistant Equipment Officer), his able assistant will always be glad of a helping hand. You can look up our Bank Holiday weekend calender for the coming year on this site. Should you decide to join, your mobile number is added to the group txt list so you will be kept informed of what’s going on in the club. We normally book several houses on weekends away, leaves it very affordable & you soon get to know everyone & join in the craic. Our diving mostly consists of scenic & wreck diving around Ireland which has some of the best diving in Europe. Alice O’Sullivan is this seasons Diving Officer & is the person in charge of making all the important decisions and getting all the best diving to be had. When replying to club txt messages always reply to Alice’s mobile number as she will seldom check the number txt is sent out from as is normally sent from PC over the internet. 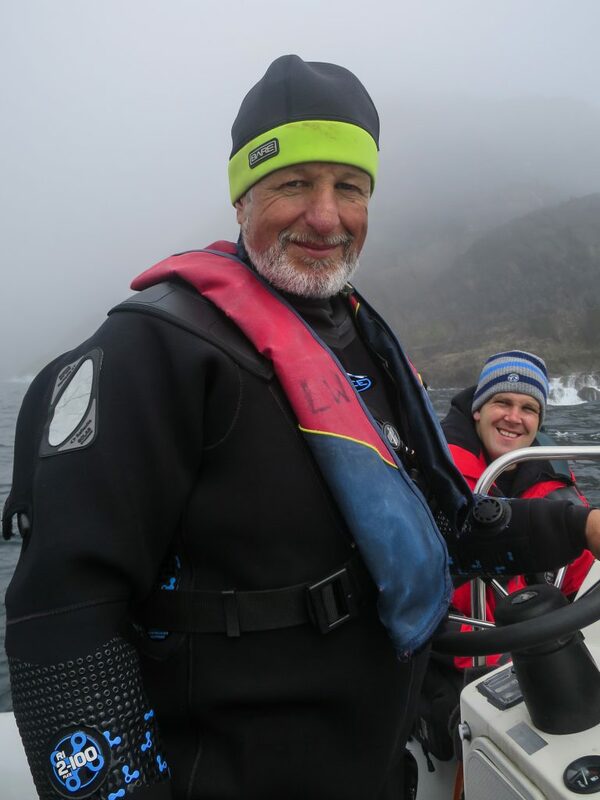 Shane Lillis is this years Training Officer & the person in charge of whipping ye all in to shape for the coming years dive season. Training will commence at the Curragh pool from 7.45 – 9pm every Thursday evenings from September – April. We retreat to Hospital Mess, Curragh Camp after the pool session where we can chat about diving and the club over a drink. This year Naas Sub-Aqua Club will be taking on new members. You do not have to have any previous experience as full scuba training will be provided over the winter months by our qualified instructors. We will start with a poster and Facebook campaign throughout the county and surrounding areas in October. This will be followed with free Try-a-Dives in the swimming pool in October/November. Lectures program will be held over four Sunday afternoon & pool snorkel & scuba training will take place every Thursday evening 8 – 9pm throughout the winter months.